Too special to drill: panoramic satellite view looking south across the Badger-Two Medicine area. Click for larger version. 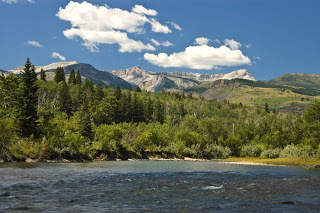 A big tip o’ my hat today to five energy companies that voluntarily relinquished 8 oil and gas leases covering nearly 30,000 acres of the spectacular Badger-Two Medicine area of Lewis and Clark National forest on Montana’s Rocky Mountain Front. There are no producing oil or gas wells on any of these leases. Occidental Petroleum, Williams Cos., Rosewood Resources, XTO Energy and BP received no compensation for giving up their rights to drill in these areas, which they had originally leased from the federal government in 1982. 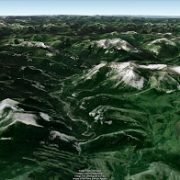 The lands are now permanently protected from oil and gas leasing under a 2006 federal law authored by Montana Senator Max Baucus. 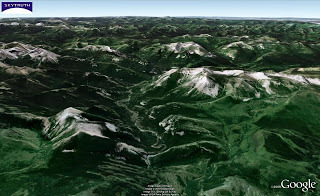 Protected from drilling: Badger Creek and Badger-Two Medicine area of the Rocky Mountain Front, Montana. Photo by Tony Bynum. Conservationists, ranchers, Native Americans and sportsmen’s groups – including The Wilderness Society, Blackfeet Nation, Trout Unlimited, Montana Wilderness Association and Coalition to Protect the Rocky Mountain Front – have worked for years to return all of the leased areas along the Front to public control. 29 leases covering another 40,000 acres in the Badger-Two Medicine area are still in private hands. None of these areas are producing any oil or gas. 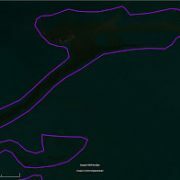 We’ve done some followup work on the oil spill seen on post-quake satellite imagery of western Port-au-Prince. Frankly, this is the least of their worries: the spill looks significant but based on the shape and distribution of the slicks we interpret this to be a short-lived episode, not an ongoing spill like the recent Timor Sea event off Australia. We’ve identified a couple of sites where oil storage tanks appear to have been damaged and leaked; it’s not clear if these tanks are the source of the oil slicks. See for yourself – we’ve posted everything in a gallery. You can also access the high-resolution Geoeye satellite images via Google Earth through Google’s website or by downloading their KML file. 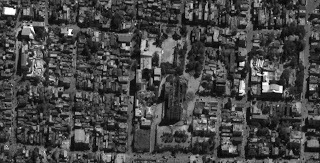 Geoeye has also published high-resolution post-quake imagery of Port-au-Prince. The images were taken on the morning of January 13, 2010. 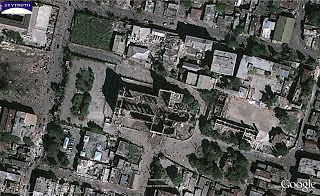 In Google Earth, you can toggle between those images and pre-quake hi-res images that were shot in March 2008, allowing direct comparison and rapid visual assessment of the damage. 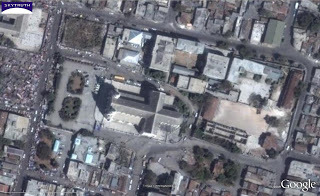 Pre-quake image, March 2008 (cathedral is large cross-shaped building at center). Click image for big version. Post-quake image, January 13, 2010. Cathedral roof has collapsed, several adjacent buildings also visibly damaged. Click image for big version. Visual identification of damaged structures (orange) based on image comparison. Click image for big version. 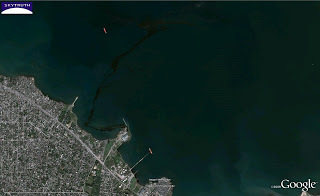 Oil slick on west side of Port-au-Prince, January 13, 2010. Click image for big version. Google has also established a public collaborative Haiti mapping project, asking folks who know Port-au-Prince and the surrounding area to help populate the map with important and helpful features. I assume these would be the identification of specific buildings (especially public buildings like schools, hospitals and clinics, theaters or other gathering spots) and anything else you think might be helpful to responders. Go here if you want to share your knowledge of the area to help this massive relief effort. The magnitude of the catastrophe in Haiti is hard to grasp. 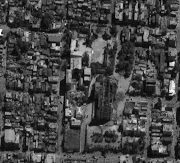 We’re heartened that Digital Globe is making high-resolution satellite images available for free until January 28. You’ve got to be using standard GIS software (from ESRI, MapInfo, or Autodesk) to get the data. Earthquake damage to cathedral (center) and nearby structures in Port-au-Prince, Haiti. Image courtesy of DigitalGlobe. 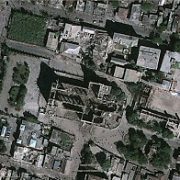 For those without GIS software, you can still view post-quake images showing the damage at DigitalGlobe’s gallery. They’ve also done a simple visual damage assessment, which you can download as a PDF file here. 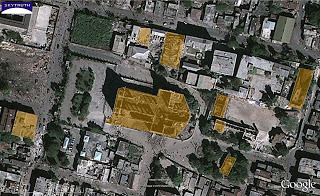 High-resolution images are useful for gross damage assessment and for logistics. 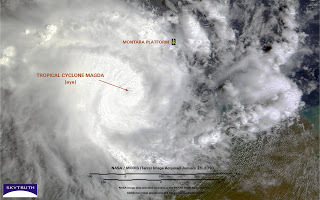 We hope relief organizations take advantage of this to facilitate their operations, and we hope some of the other satellite image vendors follow suit. It’s going to be a long haul, and the work of many nations, to help Haiti recover from this disaster. 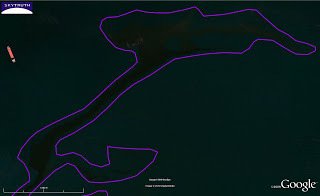 UPDATE 1/15/10: DigitalGlobe is now making their imagery available to Google Earth users as a KML file. Click here to access the KML. I’ve just tried it – the KML is pretty rough, but I expect it will be improved.